A soft, pillowy pout is your best accessory. Forget that Louis Vuitton bag; your lips can speak volumes (no pun intended) when it comes to youthfulness and attractiveness. Take a look at who to go to and what these fillers can do to enhance your natural beauty. Just about every medical professional seems to be jumping on the injectable lip filler bandwagon. Everyone from OB/GYN docs to dentists are getting trained by filler manufacturers to rake in some of the money to be made on non-surgical cosmetic procedures. Although it may seem like a safe bet to go to a doctor (just because they’re a doctor), this won’t always yield the best results. Unfortunately, limited practice doing lip fillers can lead to poor results. More importantly, ask the provider how many years of experience they have, specific training with injectables they have undergone, and the number of patients they have injected. Also ask to see before and after pictures of their patients to decide whether you like their results. Lip augmentation can be done with as little as 1 syringe of filler product. Patients can opt for additional syringes to be used if they desire more lip volume than what one syringe can offer. These products usually run about $500 per syringe, with dermatologists and plastic surgeons often charging even more than that. In most states, other types of medical professionals, such as Registered and Certified Physician Assistants, can perform injections under the supervision of a medical doctor. Again, ask about experience and look at prior patients’ results before jumping in. The most commonly used lip filler products are hyaluronic acid based. This substance is molecularly similar to a sugar that naturally occurs in the skin. HA fillers help to bind moisture to the areas that have been treated with it, allowing for increased hydration and natural-looking fullness. These HA fillers have a consistency that resembles gel, they add volume to the lips, and they last anywhere between 3 and 9 months, depending on the individual. Many first-timers love HA fillers because they look and feel natural while also being temporary. If you don’t want to continue, you can wait it out and your lips will return to their pre-treated look. For patients who are extremely unhappy with their results immediately after being treated, an enzyme can be injected which breaks down hyaluronic acid to essentially reverse things. Some injectable products prompt the body to produce collagen, which offers structure and reshaping of the lip borders. For older patients who have lost collagen in the lip area, fillers that boost collagen production are extremely effective at redefining the lips. Fillers like this last longer (12-18 months), and cause the body to naturally produce more collagen in the lips over time. To get truly stunning results from an experienced professional, visit James Christian Sardelli, RPA-C. He is a Registered and Certified Physician Assistant located in New York. 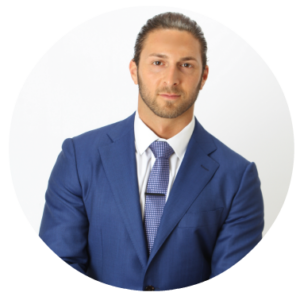 With over a decade of experience injecting hundreds of clients every month, you can trust James for natural looking results that you will love. Call or text his Cosmetic Concierge line now at (917) 860-3113. James Christian Cosmetics has multiple offices in Rockville Centre, Manhattan, Commack, West Sayville, Farmingdale, Westhampton Beach, and Babylon Village.